Anthology seems to be a suitable resort for Horror as a film genre. Normally composed by three or four short films interwoven by a primal or frame story, anthology horror films tend to find the positive reception and even critical acclaim commonly unusual in the genre. This may not be suppressive at all; regarding the role of the anthologies in the horror narratives, the success of their application to horror films shouldn’t be an exception. Also, most of the overly acclaimed Anthology Horror Films were carried by skilled and well known directors. Some of these peculiar films give an open tribute to its predecessors. Thus, it is relatively easy to find Anthology Horror films based upon popular horror comic books, popular television series and, especially, upon stories taken from classic works from minds like Poe’s and Hawthorne’s; something that offer the viewer the rare but effective plot strength that horror films use to lack. Thus, the high quality titles of Anthology Horror Films are many. The next is a list of fifteen of them. 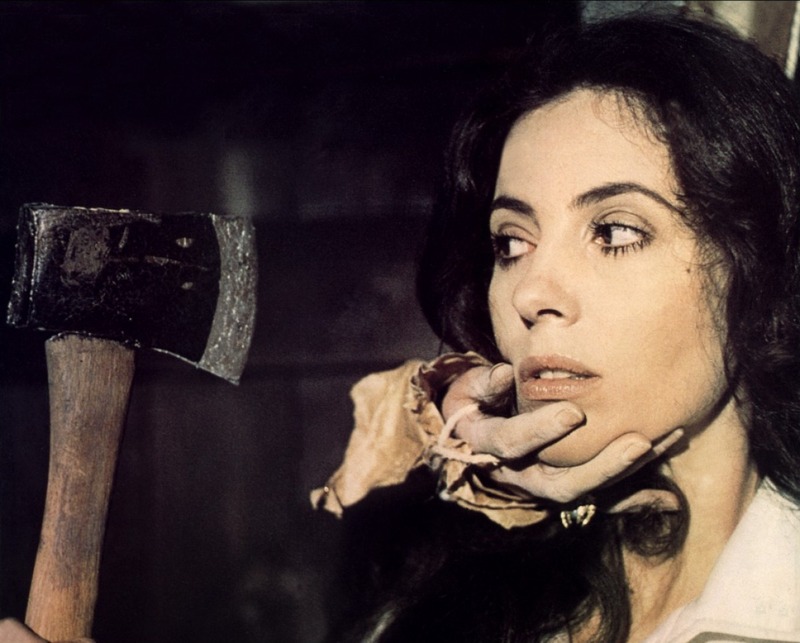 Some were crucial in the development of Horror as a film genre; others were simply decent and unexpectedly successful products while others took some time to get the justice they deserved. While the amount of important Anthology Horror Films is bigger, the next fifteen films may work as an introduction to the subgenre. While its cult status is currently improving, V/H/S was qualified mostly as a deception in its release. The reunion of last decade Horror’s promises, especially Wingard and West, seemed to fall short in its final product and gave the impression that, though a decent work, something better could have been done of it. The feature of its sequel, another anthology of twisted found footage tapes connected by a frame story, seemed to improve criticisms towards V/H/S as the experimental work needed for a hailed film as V/H/S 2 to be realized. V/H/S, however, with its deficiencies and wise moves, is a film that stands for itself while accomplishing the most basic goal of every horror film: eliciting a negative emotional reaction. A mixture of horror, anthology and found footage, V/H/S follows the frame of a group of sociopathic outcasts while burglarizing a house in the search of a VHS tape. Five are the increasingly disturbing tapes watched by the randomly scattered group before all of its members find an equally disturbing fate. A decent film adaptation of the cult TV series created by no one less that George A. Romero, Tales From the Darkside bet for a Hansel and Gretel-like frame story to deliver three simple but working horror tales: Lot 249, Cat from Hell and Lover’s Vow. Lot 249 has the security seal of being based upon an Arthur Conan Doyle’s story and Cat from Hell is a Romero’s adaptation from a Stephen King story. As for Lover’s Vow, it is a glimpse for the original series’ supporters. 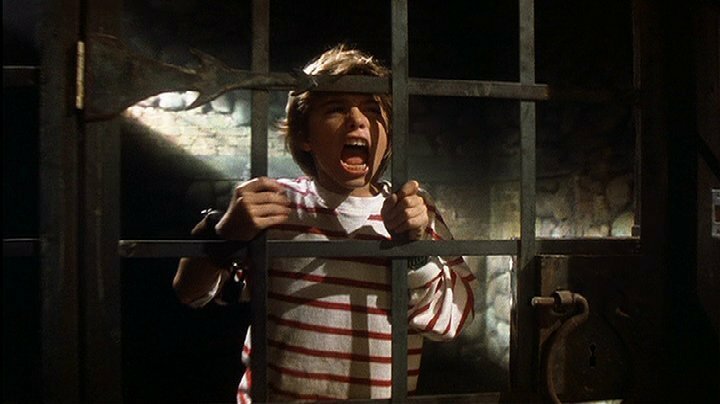 The three stories are told by a child (Christian Slater) as he expects with them to avoid his fate of being eaten by a suburban witch. Three Edgar Allan Poe’s classics adapted by three respected film makers: Federico Fellini, Louis Malle and Roger Vladim. The reception of the film seems to have been fairer with Fellini, whose segment Tommy Dammit is currently regarded as his lost masterpiece. As for Malle’s William Wilson and Vladim’s Metzengerstein, though quite tedious and mediocre in comparison with Tommy Dammit, both are entertaining and acceptable adaptations of two moving works from Poe. Tommy Dammit follows a downcast actor in his spiral of ineptitude and decadence. William Wilson features a sadistic student as he discovers he has a double. Metzengerstein follows the hysterical relation between a countess and a black stallion in the Middle Ages. Introduced by the charming Vincent Price, Twice Told Tales is an adaptation of three Nathaniel Hawthorne’s stories taken from his homonymous Twice Told Tales, Moses from an Old Manse and The House of the Seven Gables. Nearly kitsch and b-like, the film is held, despite its mediocrity, as a pretty decent work perhaps due to the strength of Hawthorne’s stories. Dr. Heidegger’s Experiment presents a physician’s attempts to restore youth. Rapaccini’s Daughter follows the increasingly sick obsession of a father with his daughter. The House of the Seven Gables tracks a familiar curse behind a fratricide. 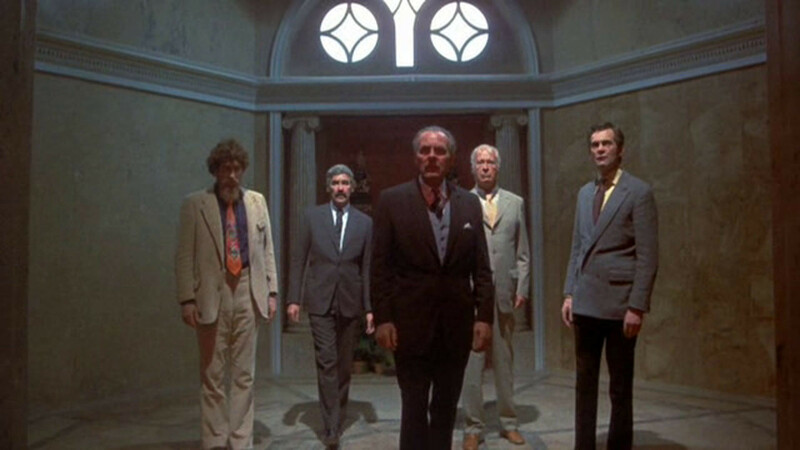 There is no way in which Asylum, Amicus Productions’ essential anthology horror film, cannot attract a Horror fan. While its director Roy Ward Baker made a remarkable career in the genre, the main reason for this attraction is Asylum’s script and stories made by Robert Bloch, who just happens to be the author of Psycho, the novel behind Hitchcock’s most known masterpiece. Four stories told to a bureaucrat psychiatrist in the secure scenario of a mental institution: revenge from afterlife, an unusual suit made by a tailor, a woman’s way trough madness and a man who builds disturbing tiny robots. The team behind V/H/S 2 seems to have taken seriously the mixed to negative reviews V/H/S met. The amateur-like technique, the increasingly boring frame narrative, the unnecessary excessive duration, the promising but finally disappointing horror stories… most of it was a result of the unnecessary hard work behind V/H/S. Rather, V/H/S 2 overcame all of it with the simplicity of the fresh old-fashioned horror its experienced directors were capable of. The frame is substituted with the more working story of two private detectives looking for a missing teenager. As for the four short films, their reliability lies on their unpretentiousness. Timo Tjahjanto and Gareth Huw Evans’s Safe Heaven, the largest of V/H/S 2’ short films, deserves to be mentioned apart. A disturbing mixture of cult and gore stories, it features a news crew covering a report about a creepy Indonesian cult in half an hour of some of the best horror cinema filmed in this decade. Another Amicus Productions’ work brought by the hand of Roy Ward Baker, The Vault of Horror’s charm lies on the EC Comics’ stories it is based upon. EC Comics, The legendary comic house that upon the 40’s and 50’s delivered popular horror fiction, is responsible of publications such as Tales from the Crypt, The Haunt of Fear, Weird Science, Shock Suspen Stories and The Vault of Horror, from which this film is named. 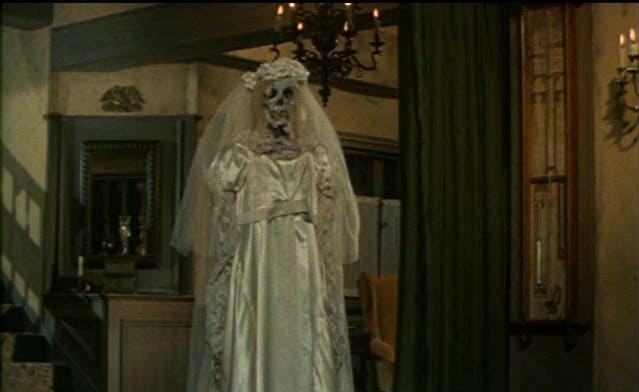 However, this film’ stories are adapted from Tales from the Crypt and Shock Suspen Stories. All of them are interwoven by the frame story of five strangers relating a particular nightmare after finding themselves unable to exit from what seems to be a gentlemen night club.